Pisces (Feb. 19-March 20) That certain others are doubting themselves is no reason for you to have any misgivings about yourself. You seem poised to take some unusual risk in the next couple of weeks, yet it would be intelligent to know exactly where everyone stands before you do so. 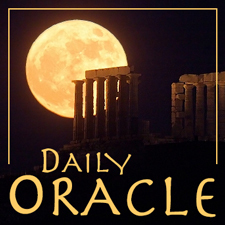 Today’s Oracle takes us to the Pisces weekly for November 10, 2006. Pisces (Feb. 19-March 20) That certain others are doubting themselves is no reason for you to have any misgivings about yourself. You seem poised to take some unusual risk in the next couple of weeks, yet it would be intelligent to know exactly where everyone stands before you do so. Count on the support of only the most reliable people in your life. Family Focus: Children now sense even what parents seldom speak about.